You may remember that wet Wednesday back in 2003, when thousands turned out to watch Concorde grace the skies for the last time. The eyes of the world were on Filton that momentous day. As she glided to her final stop on the runway, so ended an amazing story of supersonic flight. Perhaps you also recall it was on that same day that a group of us resolved to find a fitting home for Concorde here at Filton. We wanted to create a vivid testimony to this amazing aircraft and the achievements of everybody involved. It was a dream of lighting a beacon in people's minds and inspiring a new generation to think big and act boldly. Now we need you to help keep the spirit of Concorde alive. If you would like to help Aerospace Bristol create a world class aerospace museum that celebrates the heritage of Bristol's innovators and inventors please support us with a donation. By coming on board, you will be championing one of the last iconic Concordes, as well as supporting Aerospace Bristol's many other restoration projects. Funds raised, after allowing for Fundraising Department expenses, will be applied to the Bristol Aero Collection Trust projects and objectives. If an identified objective cannot be met the net income will be applied to similar projects or objectives, as will any surplus. Sponsor a seat on-board one of Concorde’s iconic routes. Share your special memories of the iconic Concorde. 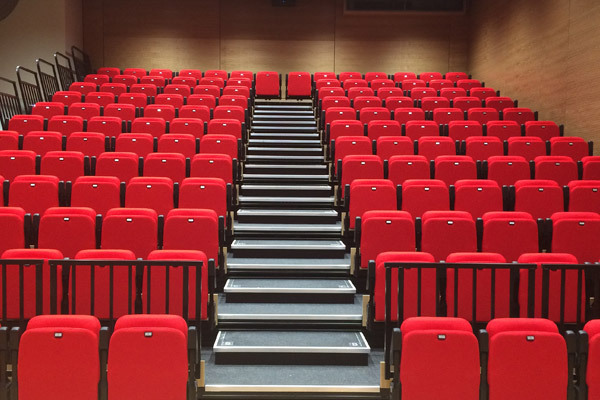 Sponsor a seat in our Lecture Theatre and commemorate someone special. Help to protect Bristol's aviation heritage for future generations. Mark the passing of a loved one with a donation in their memory. A simple and lasting way of remembering a special friend, relative or colleague. WANT TO GIFT AID YOUR DONATION? Make a Gift Aid Declaration and BACT will reclaim 25p of tax on every £1 that you give.